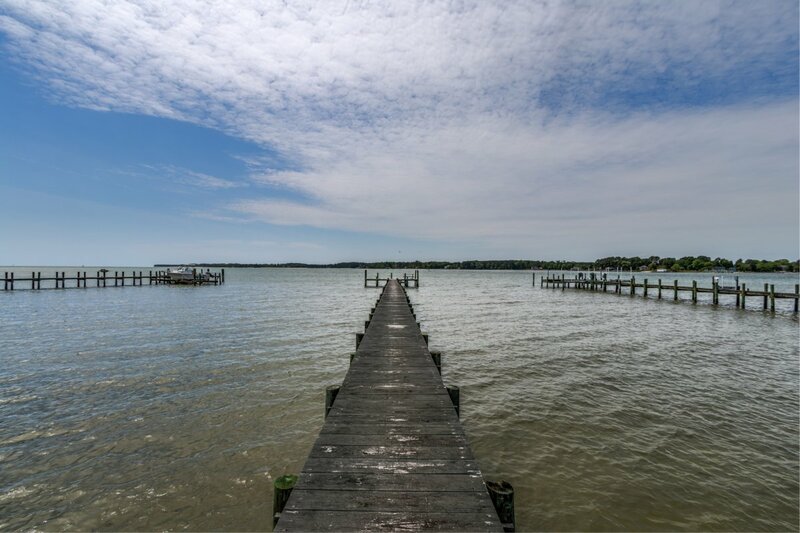 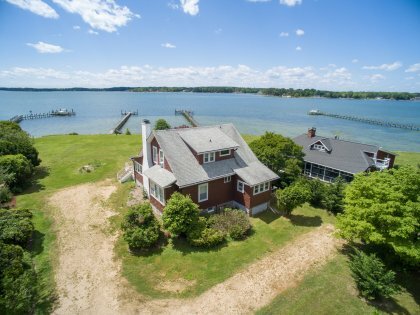 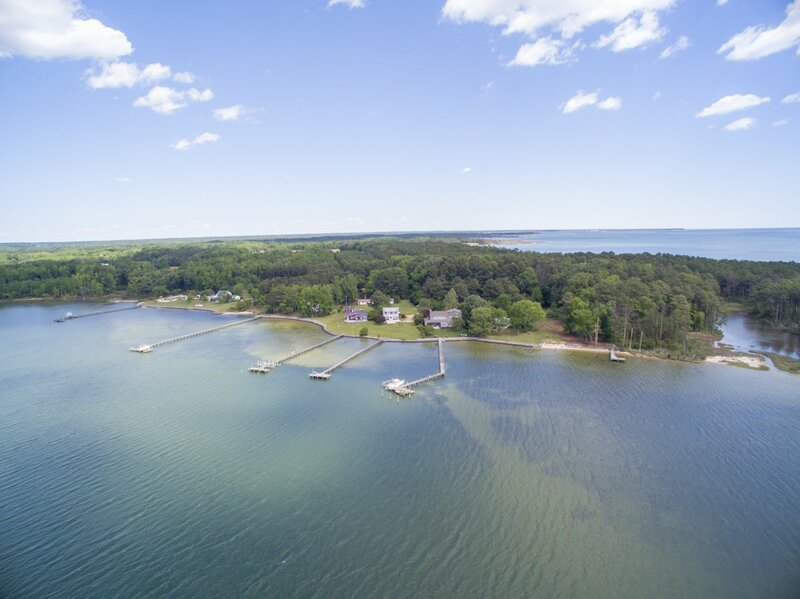 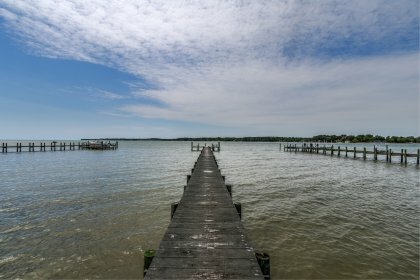 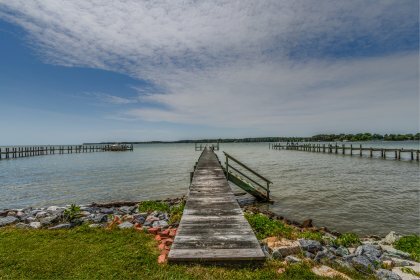 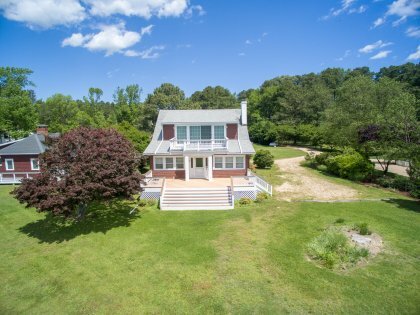 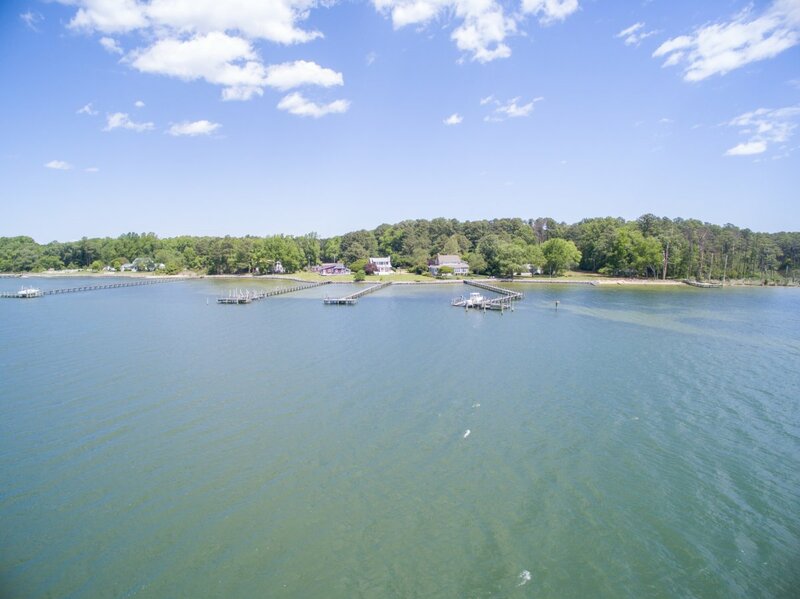 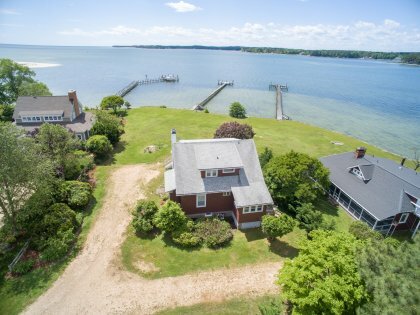 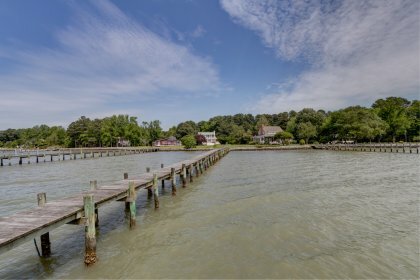 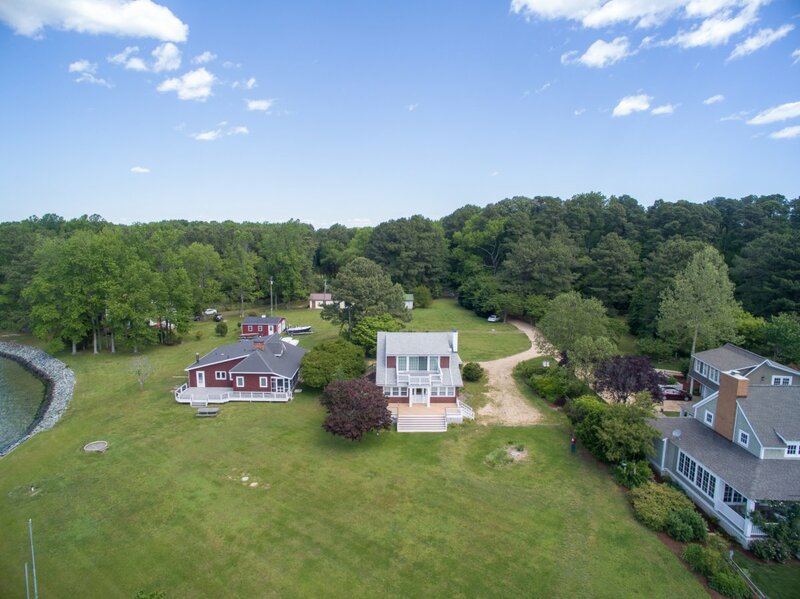 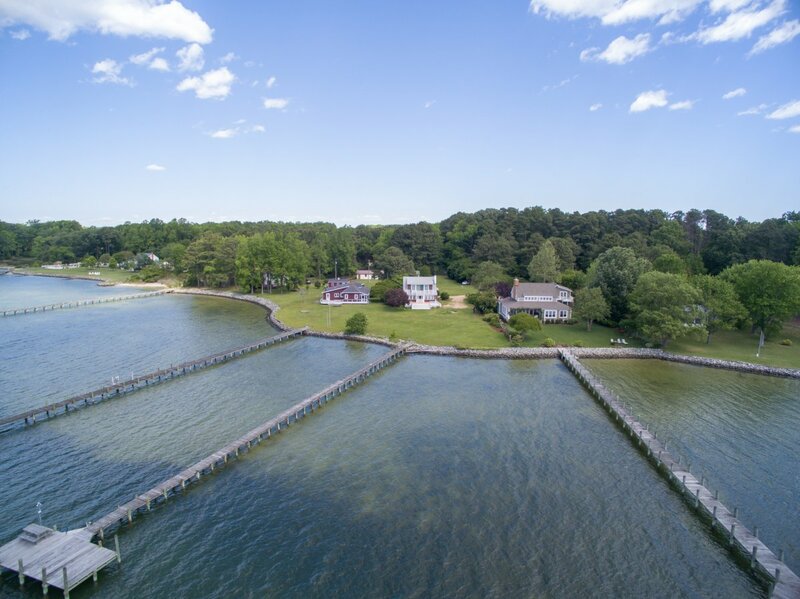 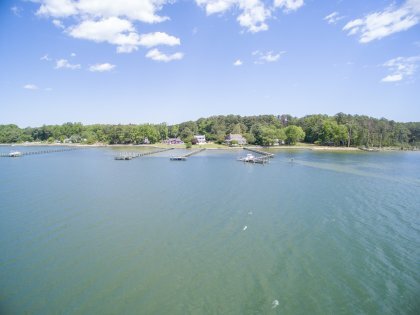 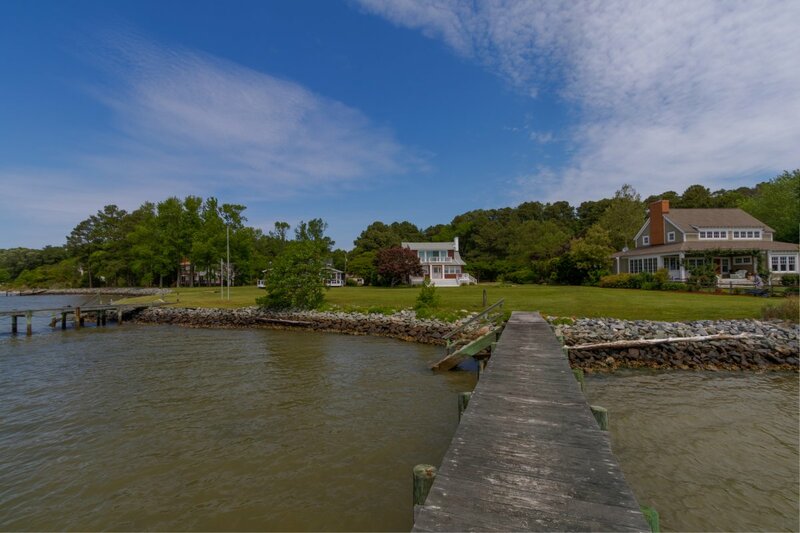 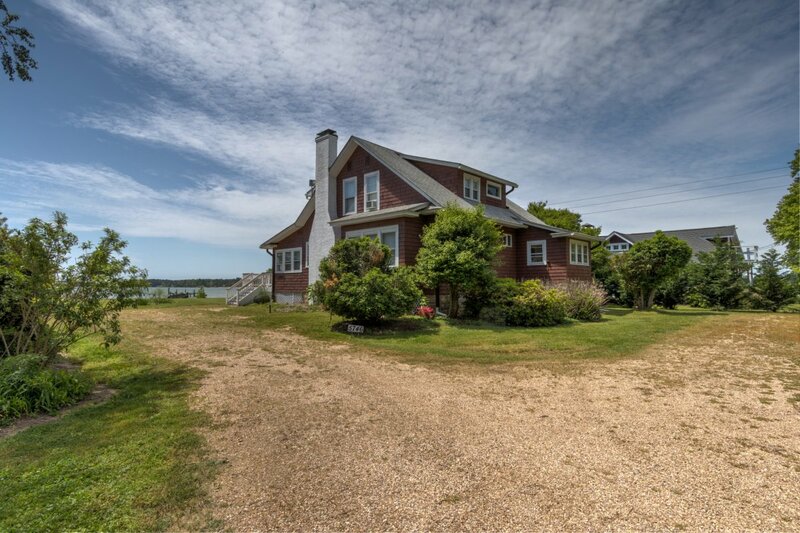 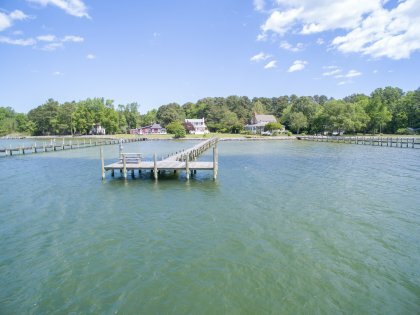 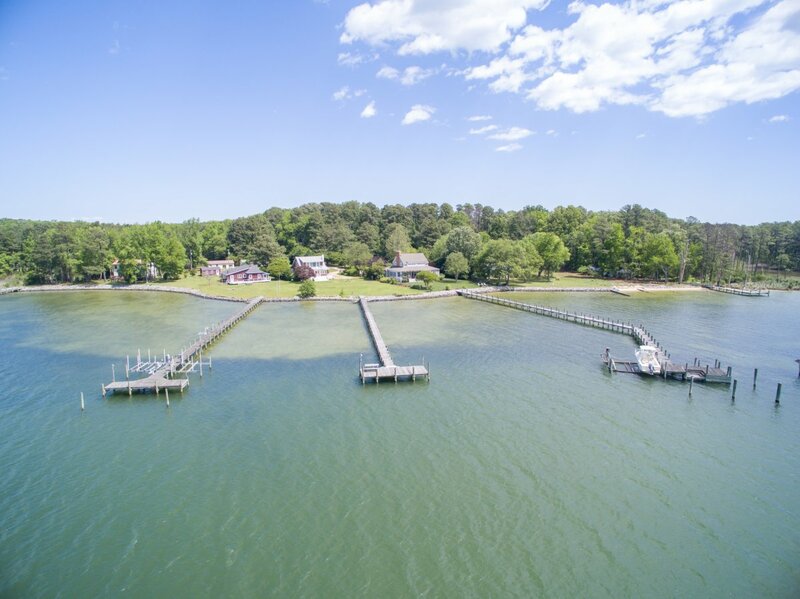 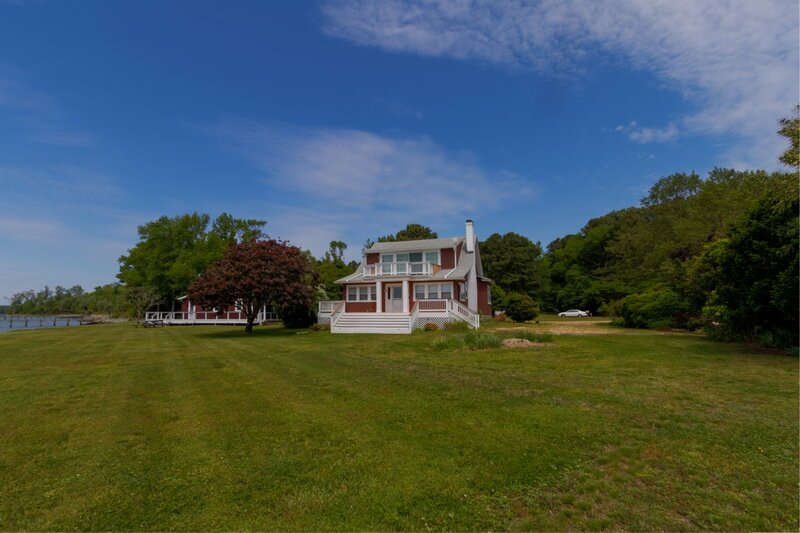 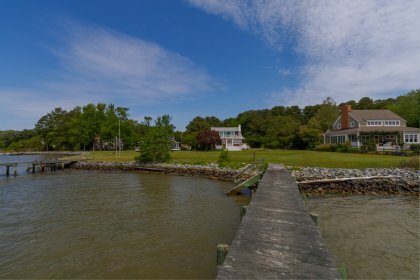 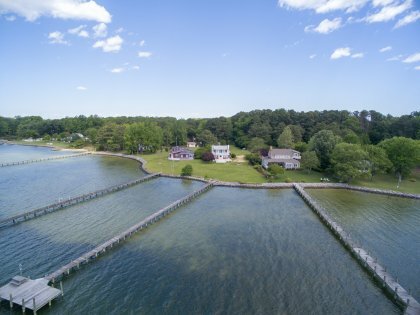 Incredible,BIG Views of The Chesapeake Bay!This beautifully updated home sits on Dividing Creek w/8'+ MLW looking right into The Bay. 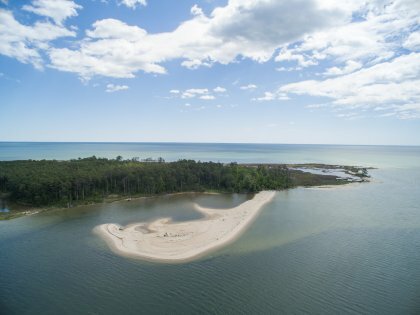 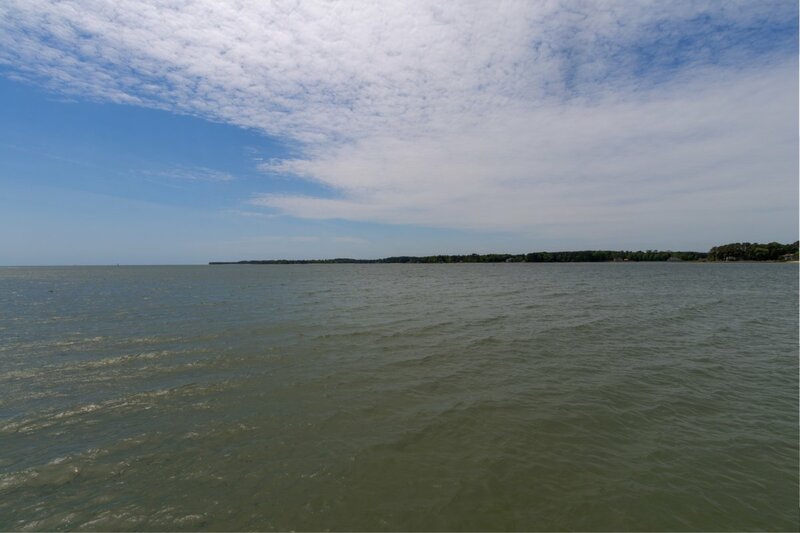 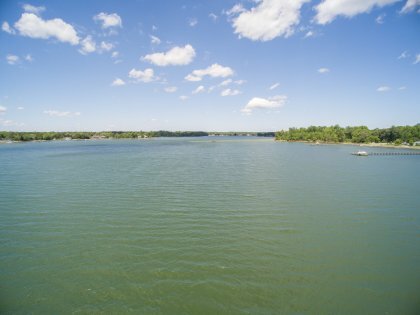 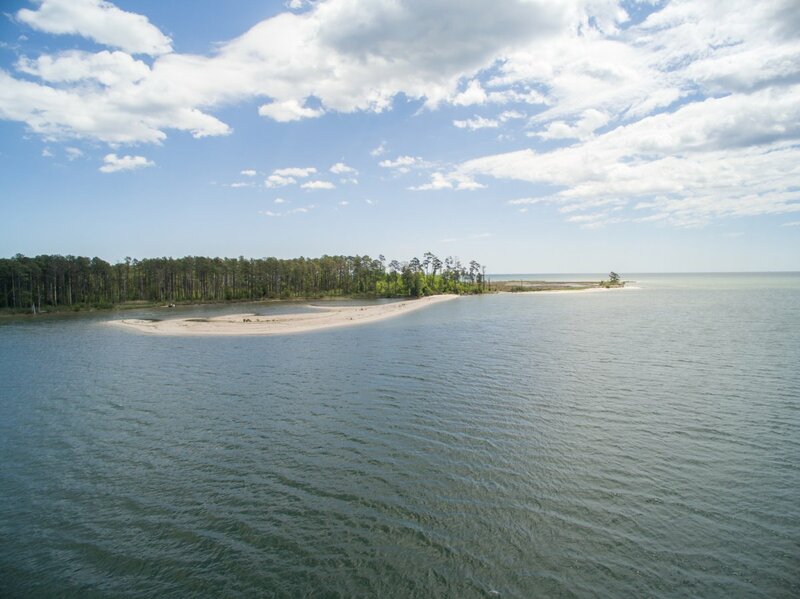 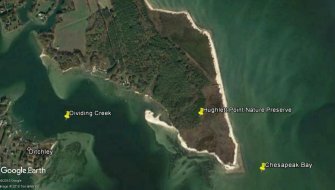 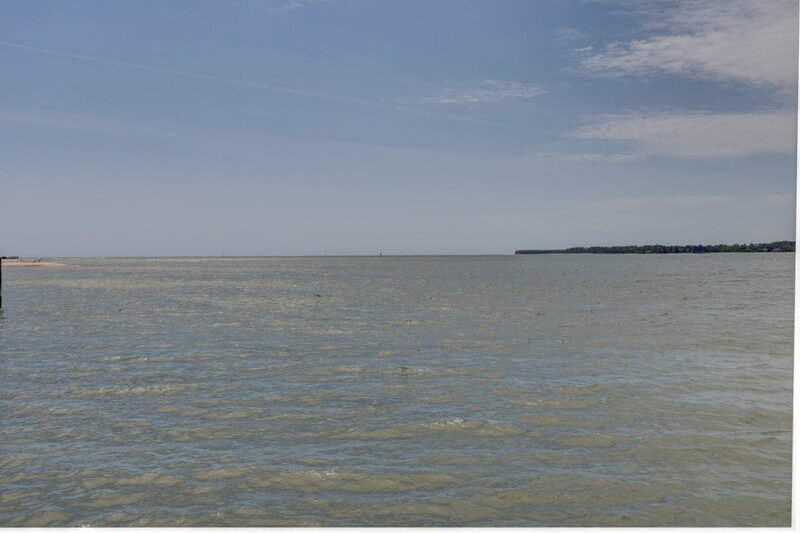 The sandy beaches of Hughlett Point nature preserve are an easy walk, paddle, or boat ride away. This classic river cottage has been beautifully remodeled! 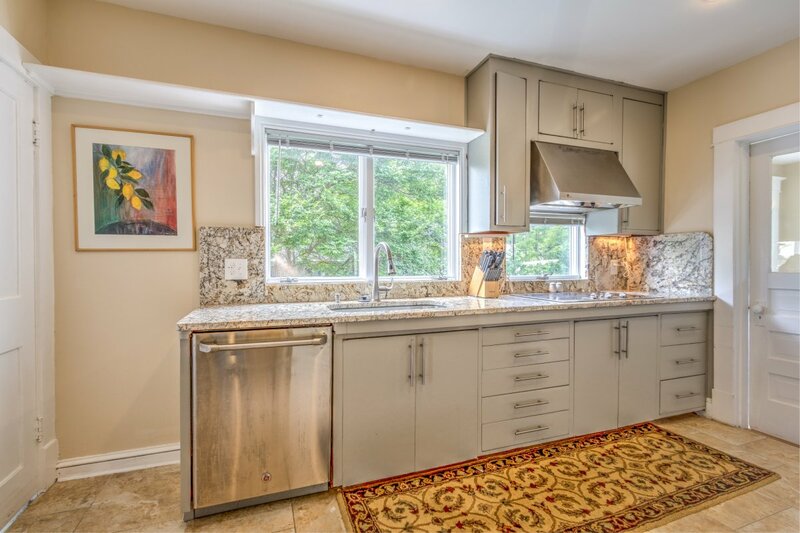 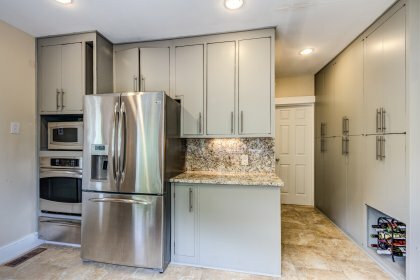 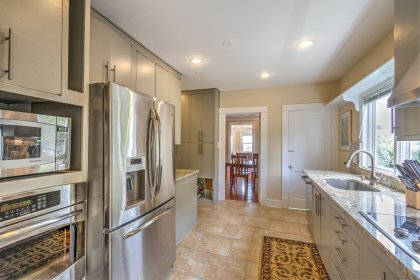 The Kitchen has stainless steel appliances & granite counter tops. 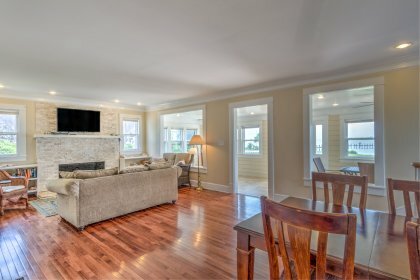 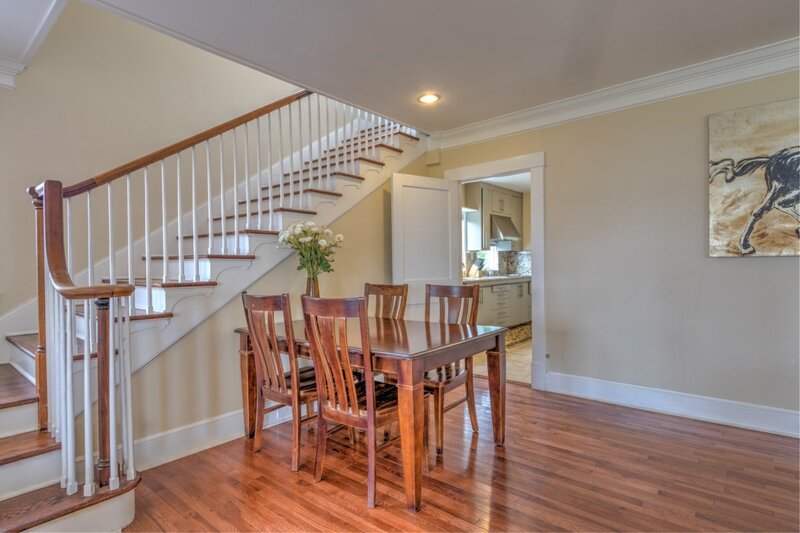 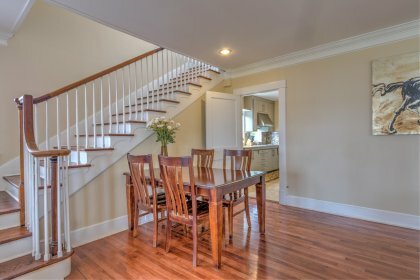 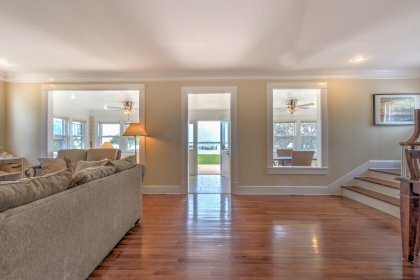 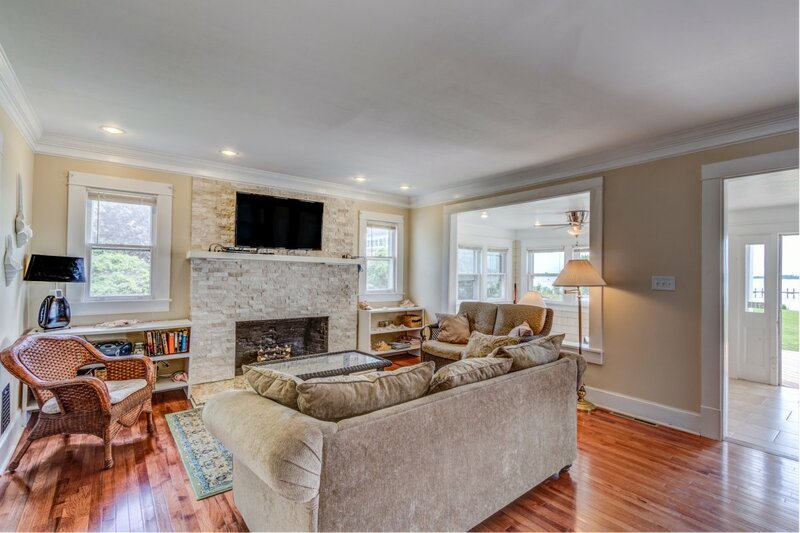 The first floor living area has refinished floors, a stone fireplace, and amazing views! 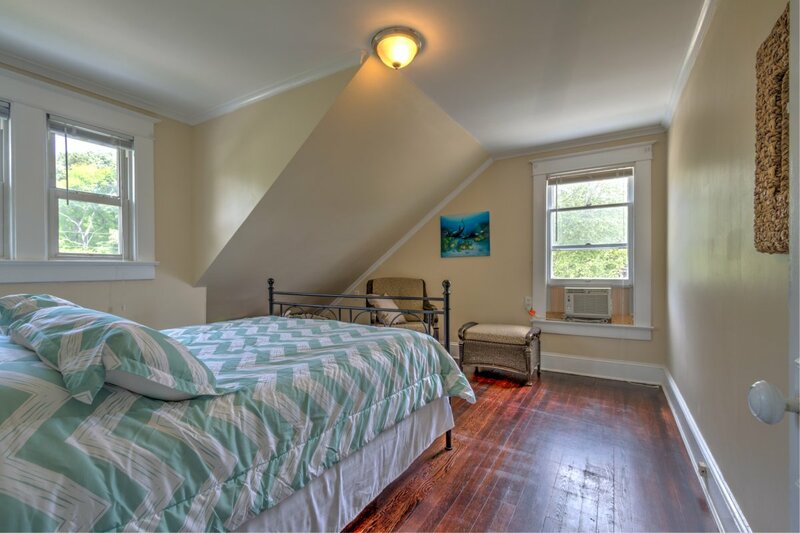 The first floor bedroom is well appointed and bright. There is a full bathroom on the first floor that has been remodeled. 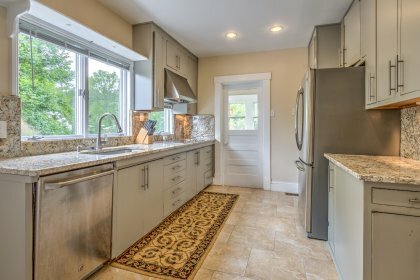 There is a laundry room off the kitchen. 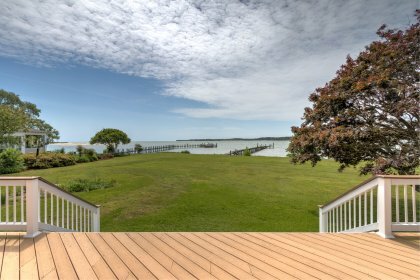 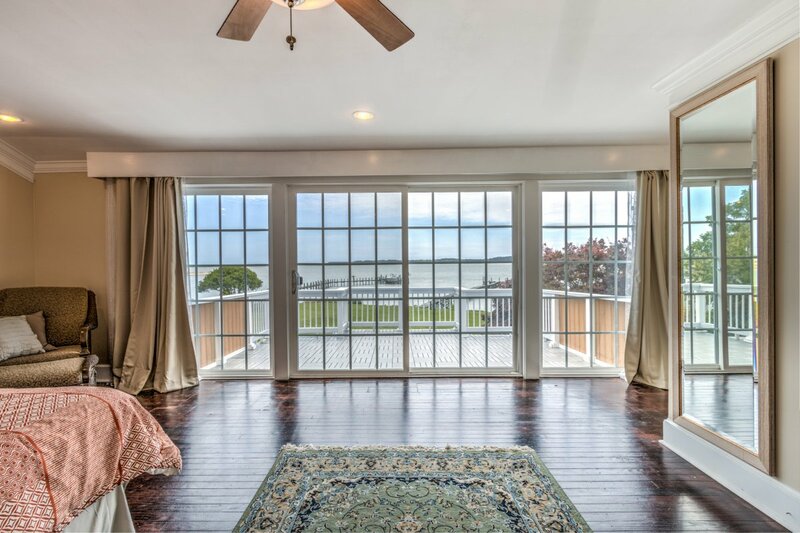 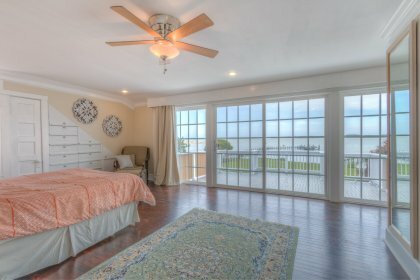 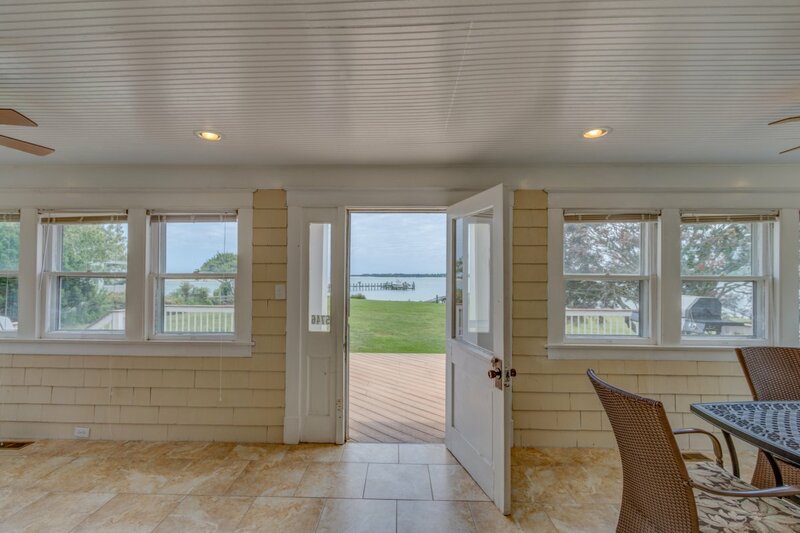 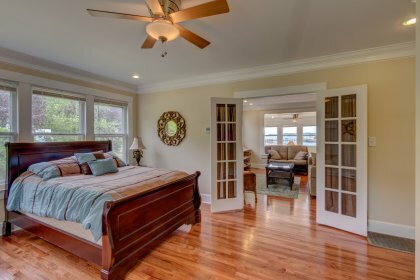 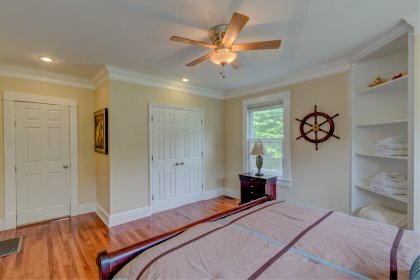 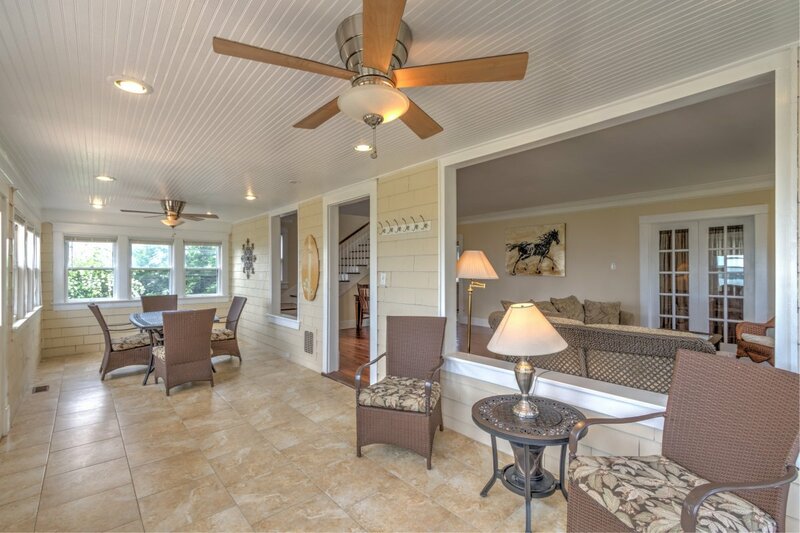 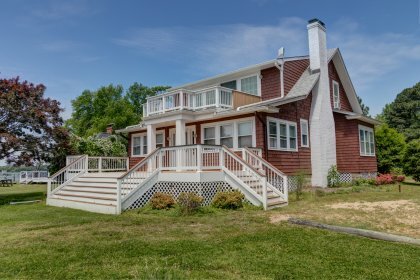 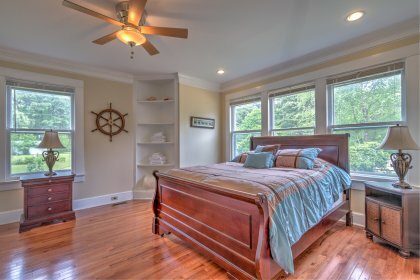 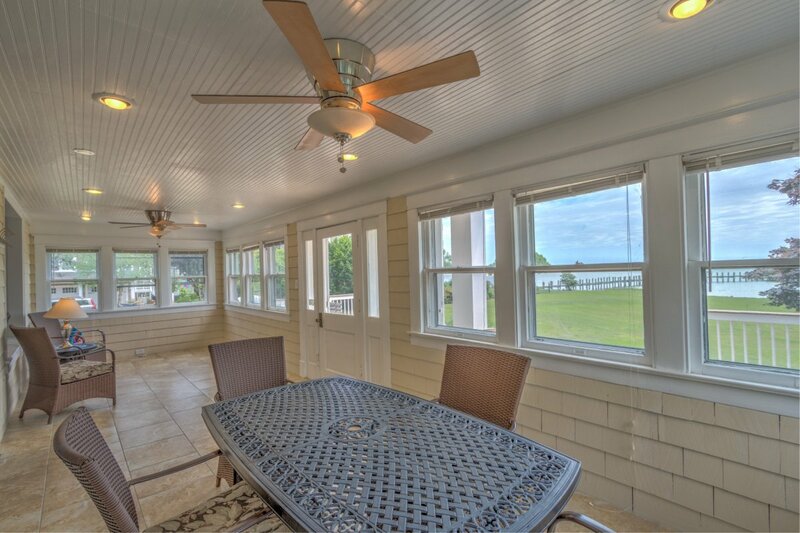 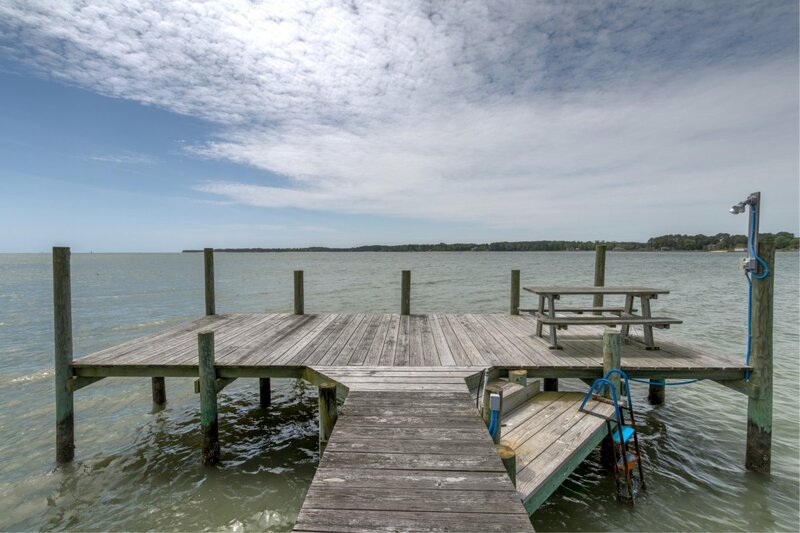 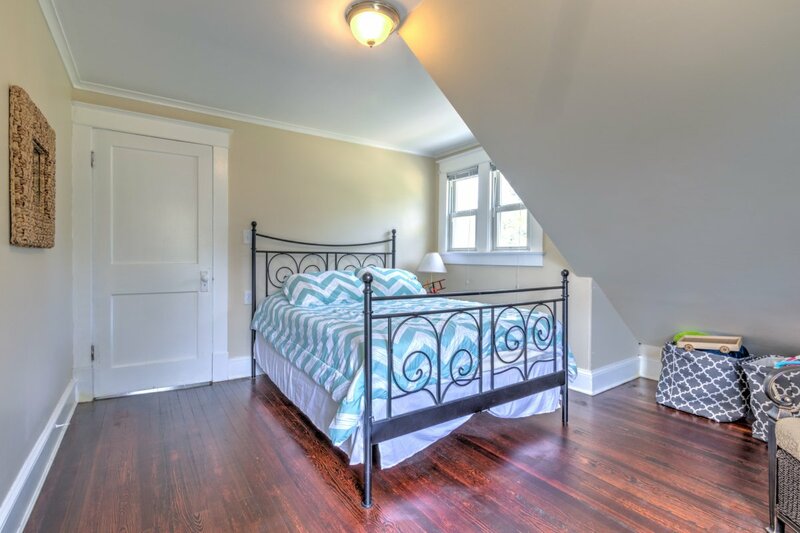 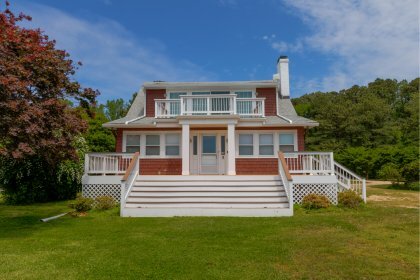 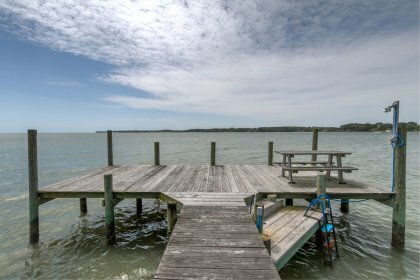 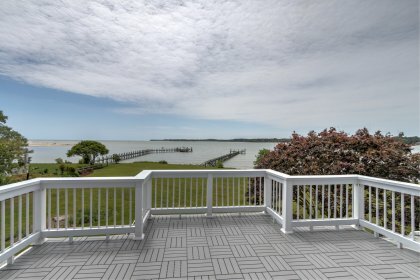 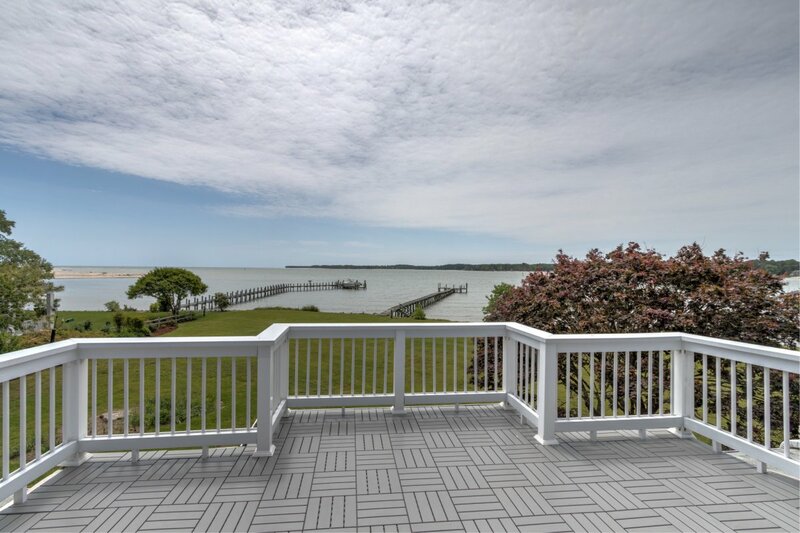 The second story master bedroom has one of the best decks on the Chesapeake Bay! A wall of glass windows and doors brings the water right into your bedroom. Step outside onto the low maintenance deck and enjoy, the sunshine, blue water and a cocktail! 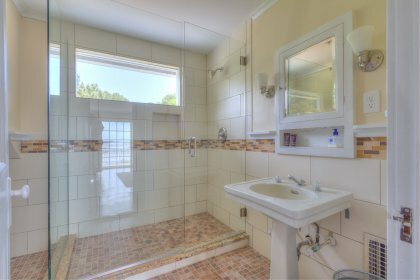 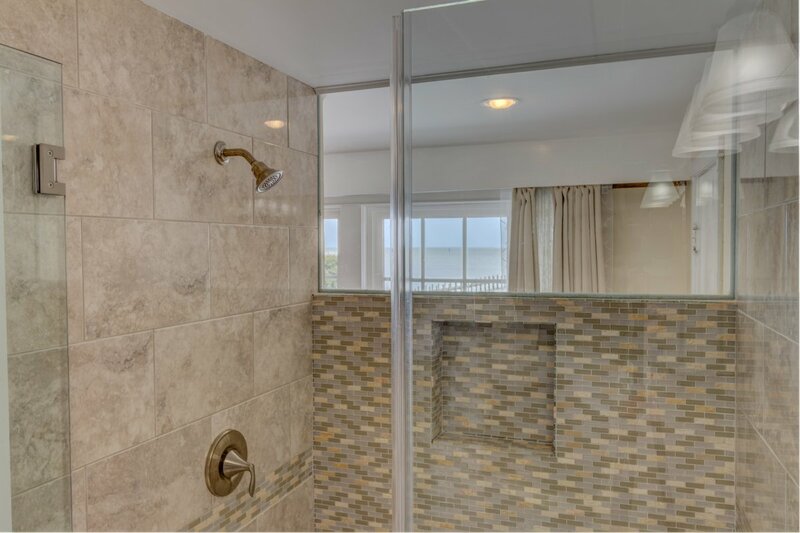 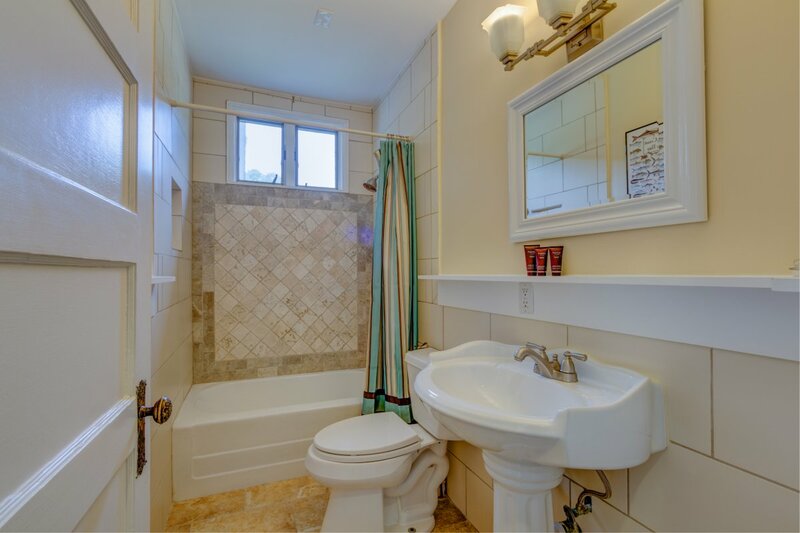 The master bath has gorgeous tile work and water views. 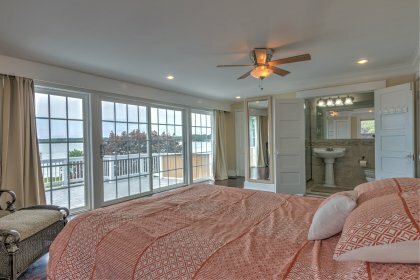 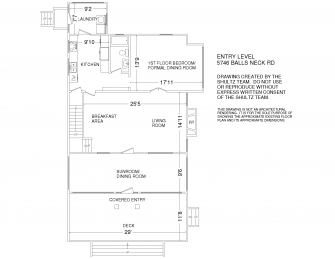 A guest bedroom and full guest bath complete the second floor. 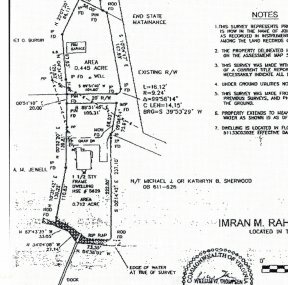 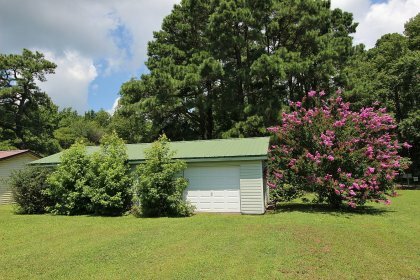 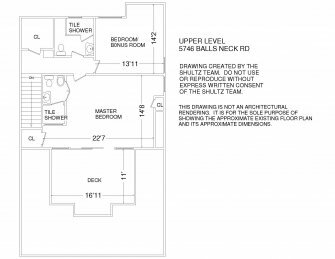 Additional lot has 1 car garage & storage building. 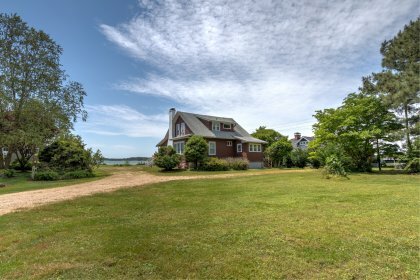 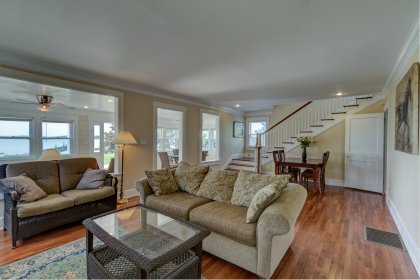 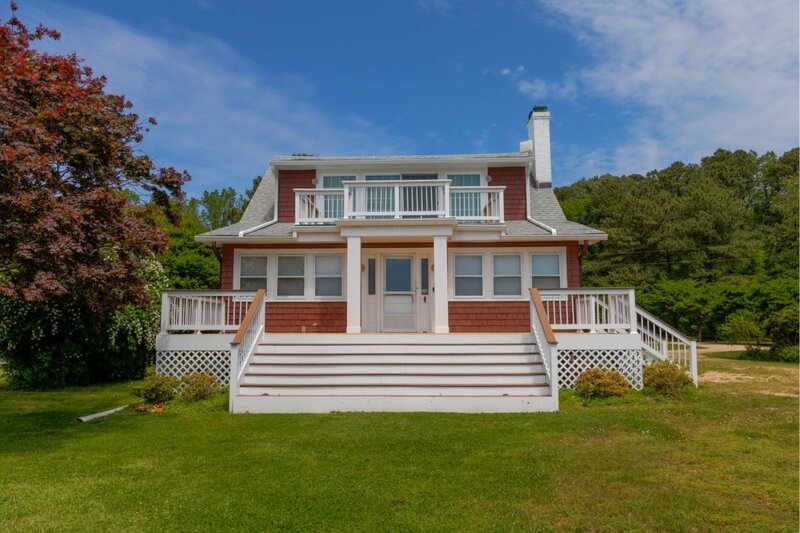 The home has a well established rental income as a vacation home.